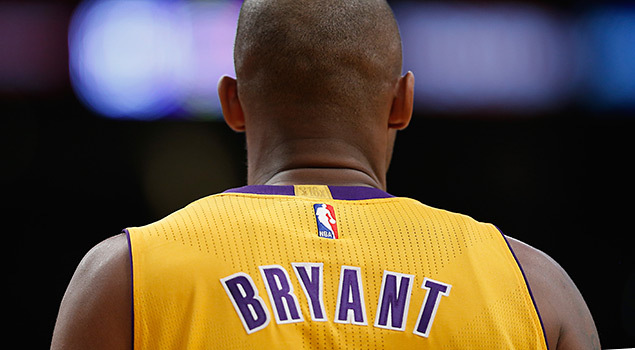 Kobe Bryant played his last NBA game on April 13, 2016. It was the conclusion of a 20-year career — all with the Los Angeles Lakers — that included five championships, two Finals MVPs, two Olympic gold medals, 18 All-Star Game appearances, and one 81-point game. The Black Mamba may have said goodbye to basketball, but he will always live in our consciousness. He’s certainly part of my family forever. Yahoo Sports did a piece on the more than 14,o00 boys who were named after Kobe since he came into the Association in 1996 as an 18-year-old phenom out of Lower Marion High School (Pa.). Those namesakes are as much a part of Bryant’s legacy as his accomplishments on the basketball court. I’m one of those parents who gave Kobe the highest compliment by naming my youngest son after him. Miles Bryant Huerto was born days after Kobe tied Michael Jordan’s record of nine consecutive games with 40 points or more in the month of February in 2003. For me, it was an easy choice when my wife and I were compiling a list of names for our newborn. Our eldest, Jorel, was named after Superman’s father. I knew my wife wouldn’t go for another superhero name like Bruce Wayne or Tony Stark, so I had to be a little creative. That’s when I brought up Kobe’s last name as the middle name for our Miles. Miles is now 13 years old. Of course, he plays basketball. He also plays football, soccer and runs track. But basketball is his favorite sport. He is the point guard on his middle school team. His game is nothing Kobe’s. He’s a product of the Steph Curry generation in which the 3-point shot is the weapon of choice instead of the kiss-the-rim dunk or the fadeaway, pull-up jumper from the foul line that made Kobe and Jordan great. Miles may not have picked up most of Kobe’s moves on the court but he did get some of the Black Mamba’s traits. My son is an intense competitor who rarely backs down from a challenge. He is fearless when he drives to the basket, and is not afraid of contact. And he loves taking the last shot. Miles already has a game-winning shot at the buzzer to his resume. He did it against YMCA competition two years ago, and I have the YouTube video to prove it. He had an opportunity for another game-winner earlier this year when his La Crescenta Holy Redeemer squad visited Los Angeles Divine Saviour in a CYO game. I had a front-row seat to that game as the Holy Redeemer coach. Miles was Kobe-esque. He scored 34 of his team’s 48 points and brought his team back from a 14-point deficit in the second half. Miles tied the game at 48 with two clutch free throws with under a minute remaining. Divine Saviour took a 50-48 lead when some kid threw up a prayer from near the top of the circle and swished it. I called timeout with 3 seconds left. I drew up a play to get the ball to Miles so he could have a chance at a halfcourt heave. The kids executed it to near perfection. Miles got the ball in the backcourt on the run while dribbling to his right. When he got to about the midcourt line he launched a running one-hander that looked good from my vantage point. The ball hit the top of the backboard and bounced over. Game over. We lost by two points.